A 7 year old patient at Shizuoka Children’s Hospital cheers Weston on with their drawing. Fighters are fighting to make sure our Facility Dog Program is with patients and families every step of the way. Join the fighters in encouraging the kids in hospitals to keep fighting, to keep shining on! Pledge now! Yen drops to 3 ½ year low against the euro. The yen reached the weakest level in almost four years against the euro, sliding against all 16 of its major peers as the Federal Reserve unexpectedly retained its bond-buying monetary policy. Japan’s currency slid against all 16 of its major peers after a central-bank policy maker said pressure may mount to expand stimulus. The dollar fluttered against the euro after falling to a seven-month low as Fed policy makers maintained monthly bond purchases at $85 billion. Malaysia’s ringgit surged the most since 1998 and India’s rupee advanced. The pound weakened after an unexpected fall in UK retail sales. The yen dropped 1.6% to 134.56 per euro in late afternoon trading in New York, after touching the weakest since November 12, 2009. The Japanese currency slid 1.5% to 99.45 per dollar after appreciating to 97.76 yesterday, the strongest level since August 29. The US currency slipped 0.1% to $1.3530 per euro after reaching $1.3569, the weakest since February 7. The MSCI Asia Pacific Index of shares advanced 1.7%, while the Stoxx Europe 600 Index gained 0.6%. The Standard & Poor’s 500 Index slipped 0.2%. In the carry trade, investors borrow in low-interest-rate currencies to buy higher-yielding assets. Japan’s benchmark rate is virtually zero. The Malaysian ringgit climbed 2.4% to 3.1565 per dollar after gaining 2.8%, the biggest intraday advance since September 1998. India’s rupee surged 2.5% to 61.7750 versus the US currency. the biggest intraday advance since September 1998. India’s rupee surged 2.5% to 61.7750 versus the US currency. Taisei: Ever since Japan placed its Olympic bid, there has been talk of possibly renovating or reconstructing the National Olympic Stadium. 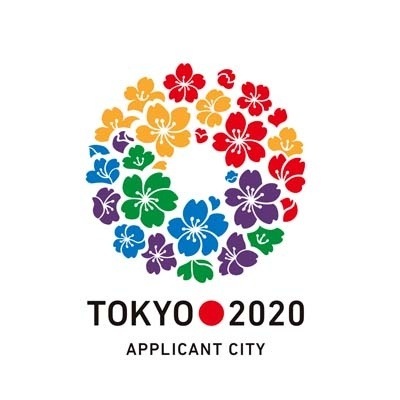 The stadium could host the opening and closing ceremonies as well as track and field events, and the long-established Taisei could stand to benefit as the original contractor. Taiheiyo Cement: With a surge in construction and building projects comes a higher demand for cement, and Japan’s biggest cement company is poised to benefit from the increased demand that comes from infrastructural development. East Japan Railway: The East Japan Railway is a major passenger railway company in Japan and one of the seven Japan Railways Group companies. With the advent of the Tokyo Olympics, the company will have greater scope for the redevelopment of Shinagawa rail yard. Mitsui Fudosan: As a major real estate developer that owns many of the condominium sites in Tokyo Bayside area, the company’s share price will undoubtedly go up as demand for accommodation rises. Xebio: Shares in the sporting goods and apparel retailer will benefit due to a spike in demand for sports gear and outfits. Sohgo Security Services: Security services will be vital at Olympics venues as well as the athletes’ village, so the company will undoubtedly see a rise in share prices. so the company will undoubtedly see a rise in share prices. Oil, gold hit multi-month peak. 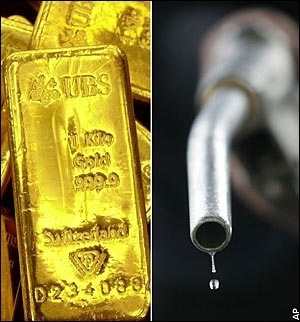 The prices of oil and gold have been pushed to multi-month highs over concerns that the US will lead a military strike against the Syrian government. Brent crude prices advanced 2.4% to a six-month high of $117.14 a barrel, extending Tuesday’s 3.3% surge – the biggest one-day percentage gain in nearly 10 months. Gold climbed 0.8% to a more than three-month high after also gaining 0.8% on Tuesday. But while the prices of oil and gold rose to their highest in several months, Asian equities fell to a seven-week low. 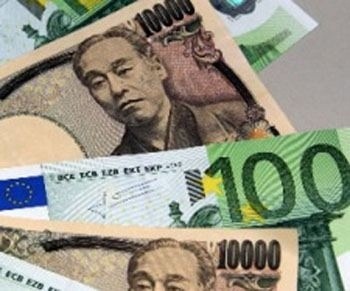 An acute ‘risk-off’ mode also boosted the appeal of the Japanese yen, which held near a one-week high against the dollar and euro after having posted its biggest rally in more than two months. Tokyo’s Nikkei share average sagged as much as 2.6% to a two-month low, while the yen was largely steady at 97.120 to the dollar and 129.90 to the euro after climbing more than 1% overnight. US and European stocks were also impacted overnight, suffering their worst day since June. Investor nervousness was reflected in a nearly 12 percent jump on the CBOE volatility index, Wall Street’s so-called fear gauge, to a two-month high. UN warns Syria of consequences. The UN Secretary General Ban Ki-moon warned the Syrian Government yesterday that the use of chemical weapons is a crime against humanity, as a disarmament expert arrives in Syria. The UN is urging the Syrian government to allow inspectors to examine the site of the attack and said that, “Any use of chemical weapons anywhere, by anybody, under any circumstances, would violate international law”. Angela Kane, the UN High Representative for Disarmament Affairs, is in Damascus following the alleged chemical attack. A UN spokesman said, “The Secretary-General believes that the incidents reported yesterday need to be investigated without delay”. In recent days, activists confirmed that chemical weapons were used by forces loyal to President Bashar Al-Assad in the eastern suburbs of Damascus. Al Assad’s regime last month agreed to allow UN experts to investigate three other sites where chemical attacks were alleged to have taken place. Meanwhile, footage distributed by activists showed unconscious children, people with foam coming out of their mouth and doctors providing them with oxygen to help them breathe – triggering anger around the world. Syrian anti-government activists have accused the Assad regime of carrying out the attack using toxic gas, with the number of dead reported to be up to 1,300. In its defence, the government has denied that it used chemical weapons, calling the allegations “absolutely baseless”. calling the allegations "absolutely baseless".